Non-surgical rejuvenation is not only Dr. Chiu’s passion, but she is also a nationally recognized expert in cosmetic dermatology. At The Derm Institute, we love making our patients look great! Whether it’s getting ready for a special event, or just maintenance of a more youthful appearance, we want our patients glowing, happy, and more confident when they leave our office. You’ll love the way you look. In fact, we want you skipping out the doors! Our boutique practice welcomes anyone for a one-on-one consultation with Dr. Chiu to discuss your unique needs and concerns. The Derm Institute is committed to a no-pressure atmosphere where we partner with you to achieve a rested, refreshed, and relaxed appearance. The improvements can be dramatic, yet subtle and natural-appearing. Our goal is for you to look better but not different. We offer the most advanced approaches to rejuvenation, including injectables such as Botox® and Dermal Fillers, state-of-the-art laser treatments, body contouring, and tightening devices specially tailored to your skin type and needs. Every consultation is led by Dr. Chiu. We also have extensive experience in non-surgical rejuvenation for men, so everyone is welcome! Dr. Chiu takes great pride in her artistic approach to rejuvenation, providing a three-dimensional and three-pronged approach to achieve your cosmetic goals. She adjusts her aesthetic to suit both men and women. She will listen to your concerns, your budget, and help you develop a comprehensive treatment plan with the latest in non-invasive cosmetic procedures. The application and use of various non-invasive treatments combined with the artistic and expert techniques utilized by Dr. Chiu are what truly sets The Derm Institute’s treatments apart. There are no shortcuts, inappropriate dilutions, or non-original manufacturer discount supplies ever used in our clinic. Dr. Chiu and The Derm Institute team are committed to exclusively providing advanced, expert, cutting edge and artistic facial rejuvenation safely. You’ll love the way you look! 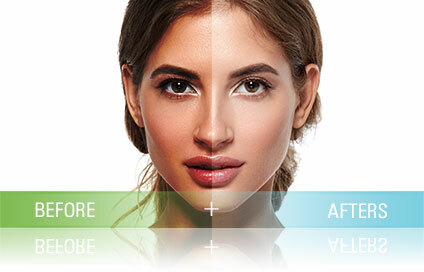 You can feel reassured in the expertise and safety of being directly cared for by a renown physician, who speaks internationally and nationally, publishes papers, and trains on the most advanced cosmetic techniques.